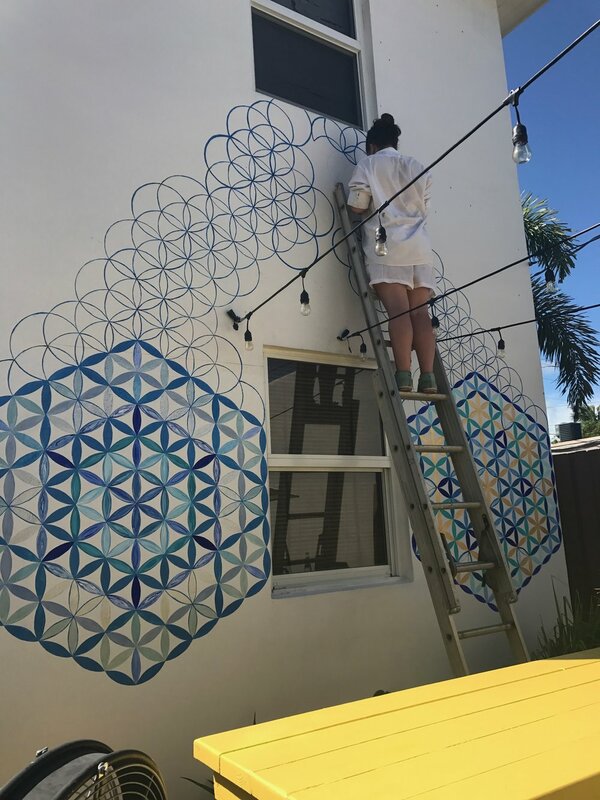 The week of Art Basel in Miami in 2018 was a crossroads in my creative process, when I was chosen to be apart of a the Basel House Mural Festival. The factors fell into flow with the guidance of Culture Climax and a group of devoted artists, we painted a sacred space into being. 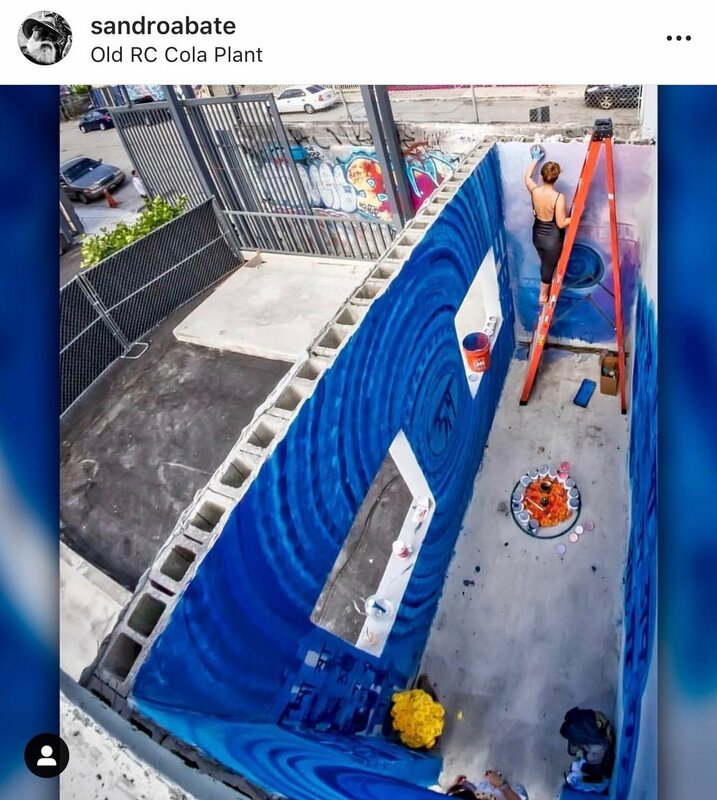 “The GodMother” is a casita mural offering on the walls of the Old RC Cola Plant in the soul of Wynwood accompanied by the a rose installation and live performances by many muses and musicians. 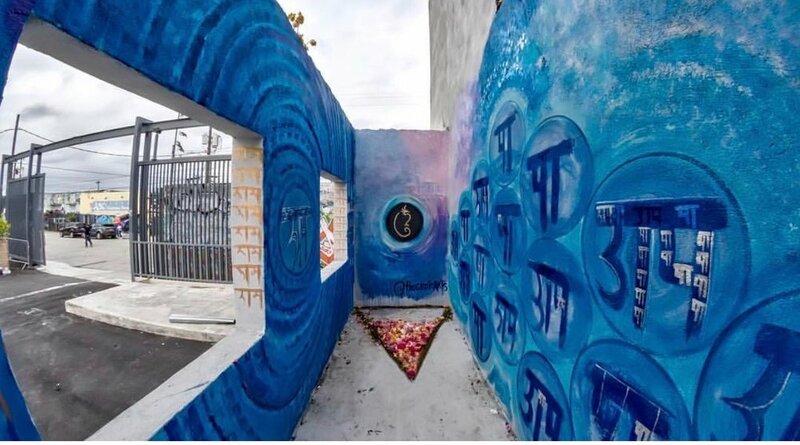 This mural keeps space on the wall of Bindu Yoga in West Palm Beach, greeting the students as they walk through the gates of their practice. 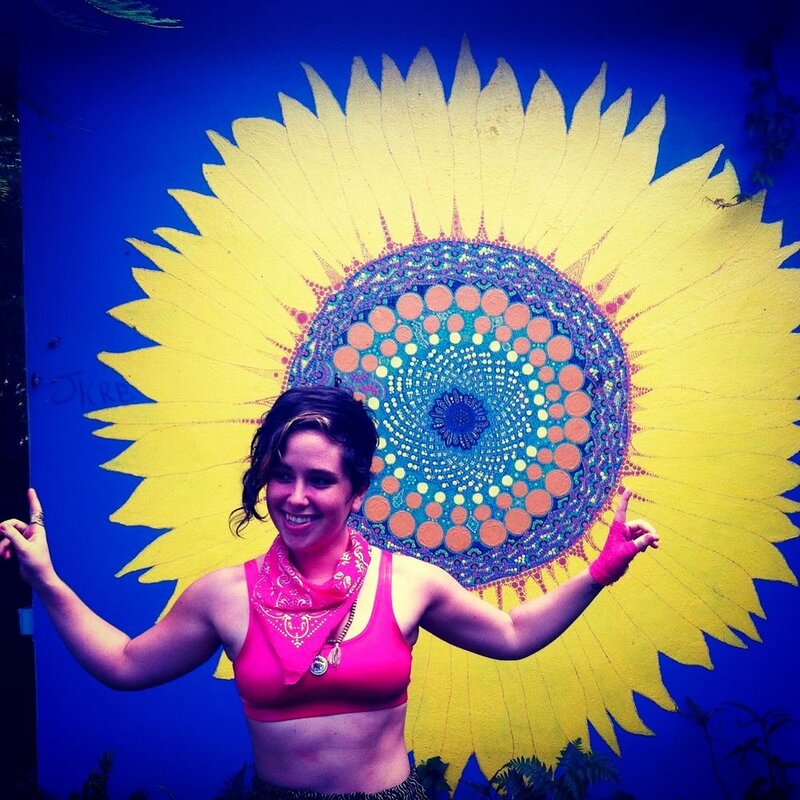 This mural was born in the Florida summer heat and I believe in changed the way my eyes look at the world. Painted in honor of a mother named Mary died in 2007, this sunflower was created to bring the sunshine of her memory through. With a circumference of eight feet with more than sixty petals, the center reflects the Fibonacci sequence with more that 15,000 dots.